Where: <?XML:NAMESPACE PREFIX = ST1 />Santa Cruz Community TV Station, 816 Pacific Garden Mall, Santa Cruz. Three hour parking behind Taco Bell. Do not park behind the studio. That is a tow away zone. Station phone number 831-425-8848. Preparation for taping starts at 3:00 pm for all certified staff and intercessors. Raw footage for TV series and special programs aired on the station three times each. 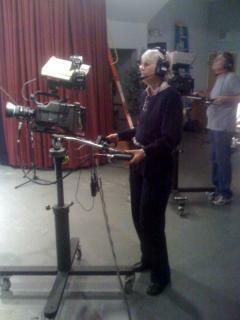 Production of video tape for other outreaches. Recording of testimonies and talent for personal use after public use. New TV Series on Comcast channel 27 and Charter channel 73: (30 minute program episodes show weekly). Sunday Worship tapings have been amazingly powerful as the power of God is increasing and seeds of revival are manifesting. You should expect to see the power of God's word minister to your hearts as He touches you with His love and the power of the Holy Spirit blesses you with deep prophetic revelation. The services will push you further into a radical and passionate relationship with Jesus. Our services are to equip and challenge the body to wrestle for the blessing as God wants to bring revival to our hearts and then to Santa Cruz. Two programs are produced from these tapings which air on the Community Television of Santa Cruz County Station Comcast channel 27 and Charter Channel 73. Reality Church (Sundays at 9:30 am) and Heaven on Earth (Sundays at 9:00 am). As more persons learn to edit video, more shows will be produced. 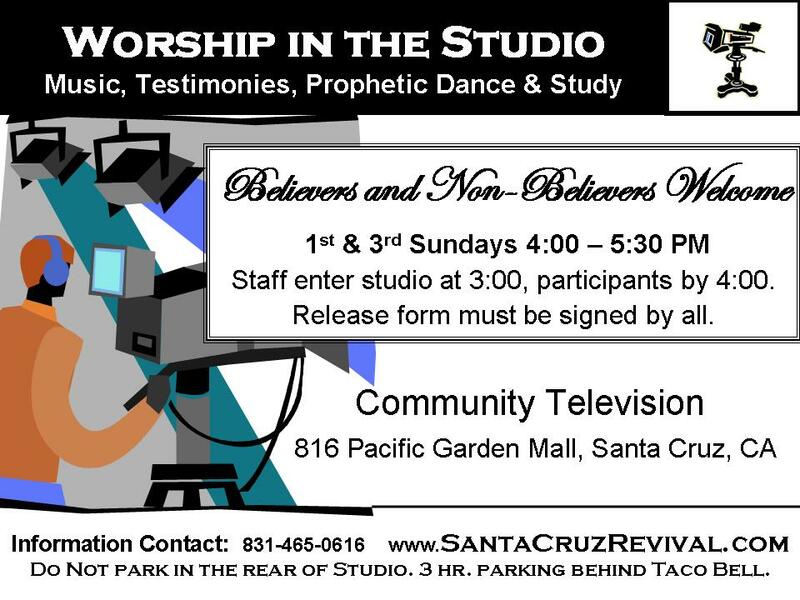 We like for each taping to be composed of a musical group, prophetic dance combined with biblical skit, testimony and teaching. Some performers are well known and others are beginning first time artists. We pray at the beginning of the show that God will help us with the mechanics, but most importantly that God will anoint our worship time and bring the supernatural manifestation of His presence into our reality.